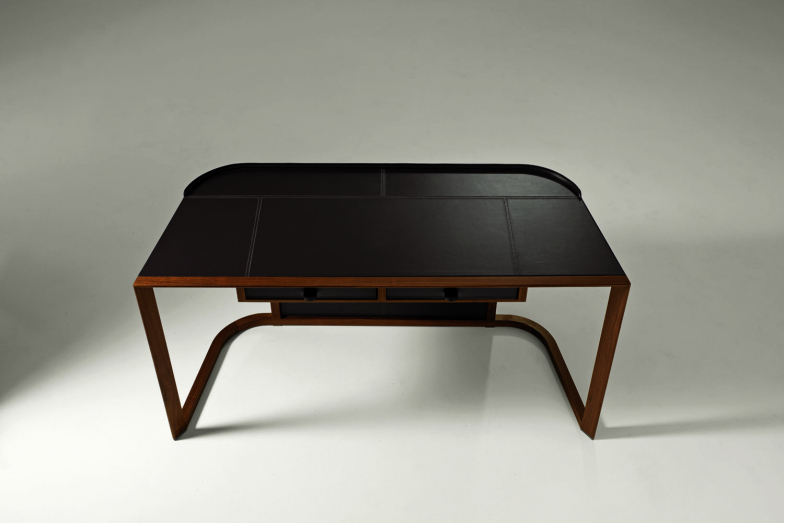 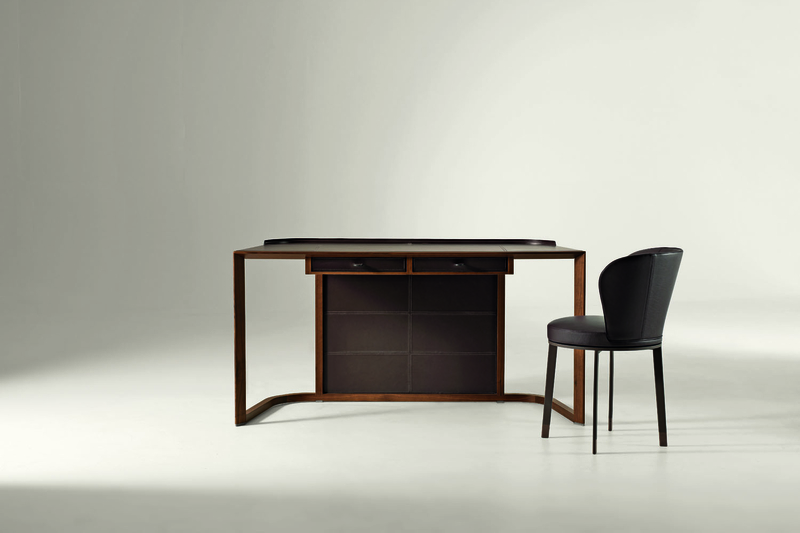 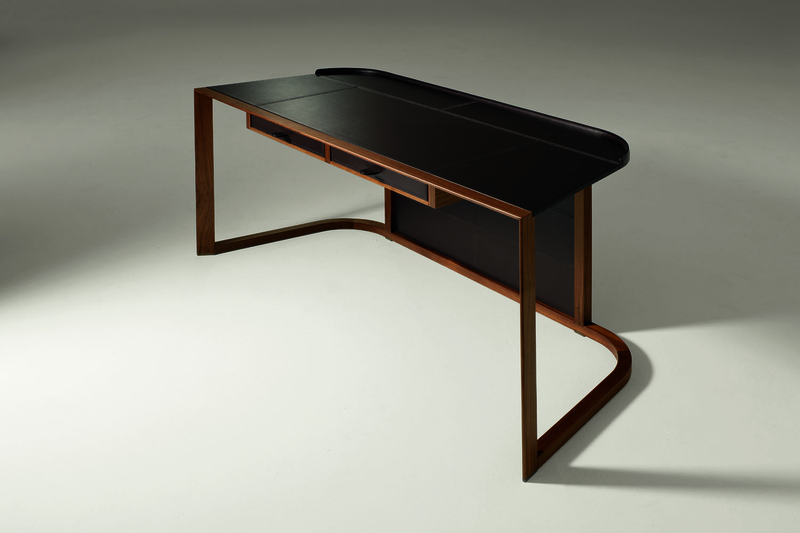 Chi Wing Lo's Ion writing desk has been designed with the frame in solid walnut canaletto wood. 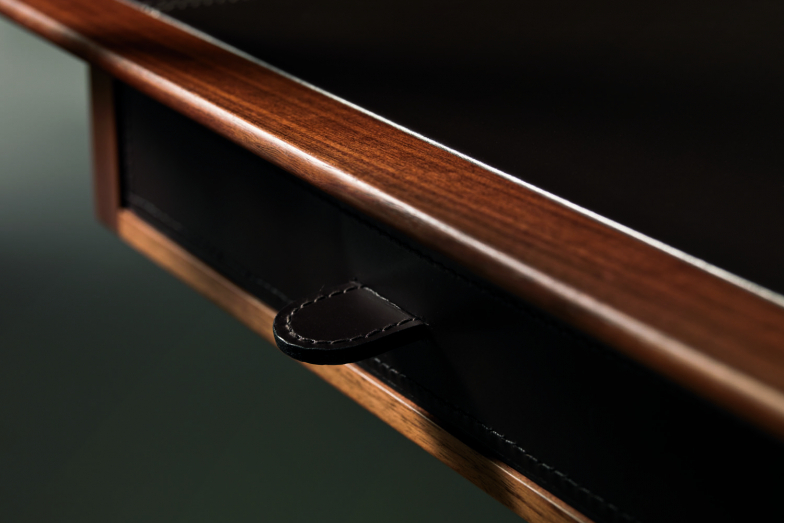 Perfect for the luxury home office, the top, the two drawers and the front closing panel are covered with saddle leather available in different colour shades. 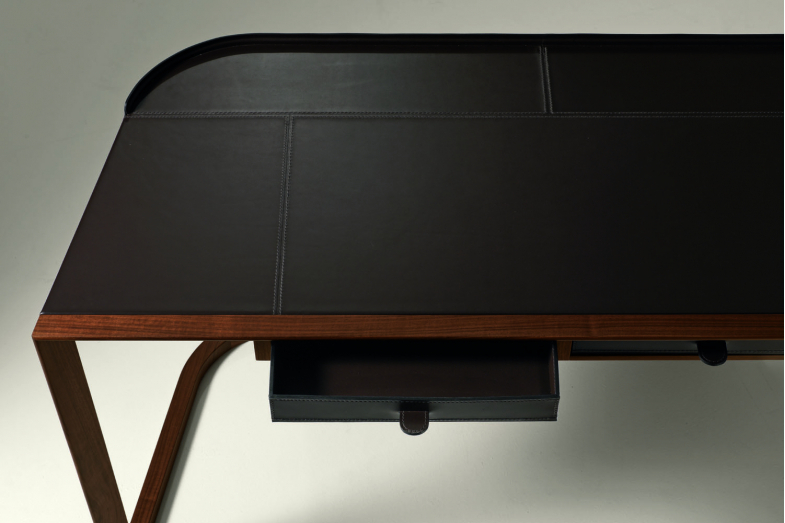 The metallic parts are painted in a bronze colour.